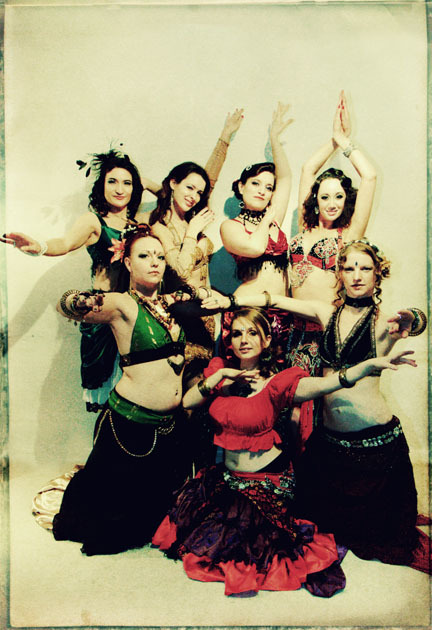 Tribal Fusion is an exciting new style of bellydance, emerging only in the past few decades. 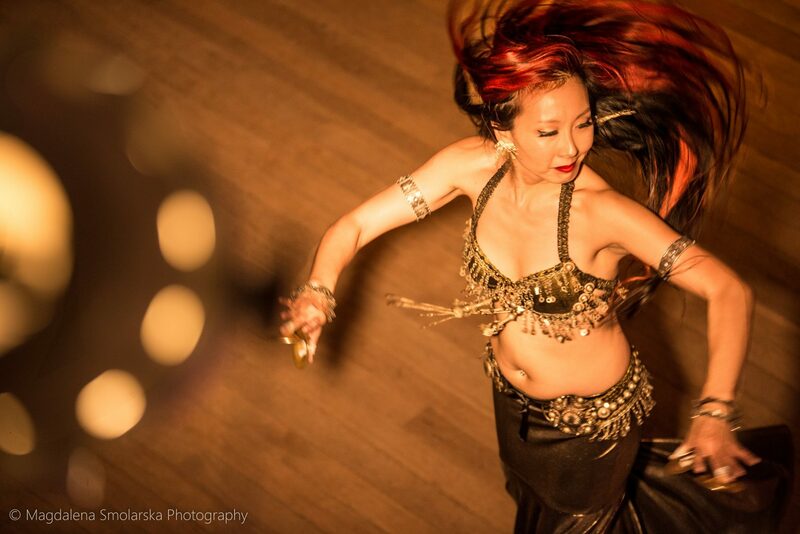 The “tribal” bellydance movement vocabulary is a mixture of traditional bellydance, flamenco, tango nuevo, bollywood, and urban pops and locks, as well as elements of theatrical contemporary dance. 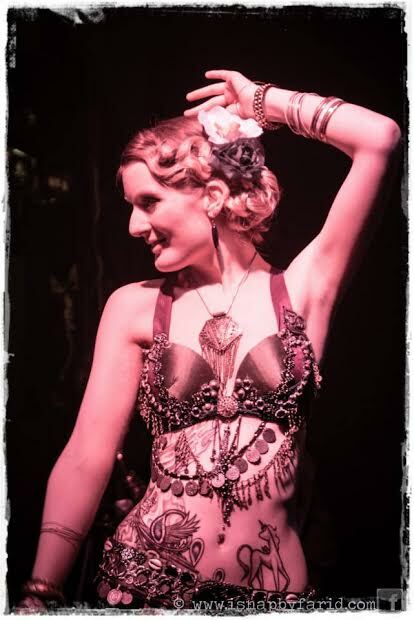 Adorned with a coin-covered bra, kuchi belt and jewelry from the Middle East and Asia, the vibrantly costumed bellydancer personifies this fusion. 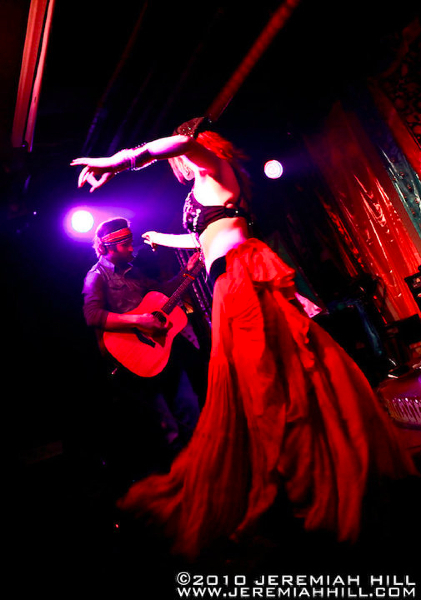 Routines can cater to your event’s ambiance, from slow and intense to pulsating rhythmic beats–or anything in between. 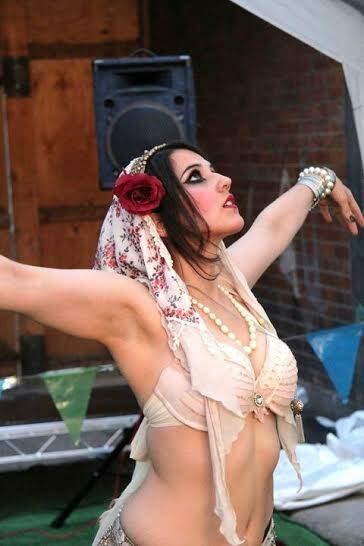 Each tribal bellydancer’s style is unique with musical and stylistic influences ranging from klezmer to martial arts to hip hop to Vaudeville. 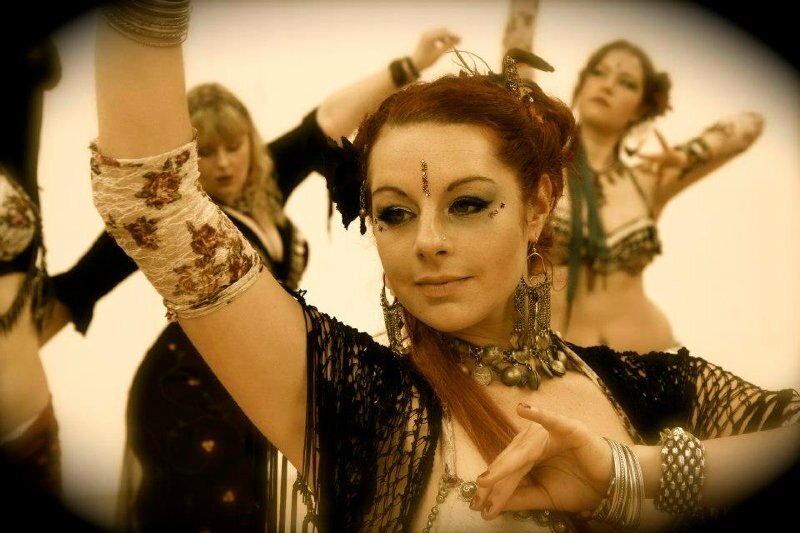 Tribal dancers are perfect for anyone seeking something more unusual than a traditional bellydancer. 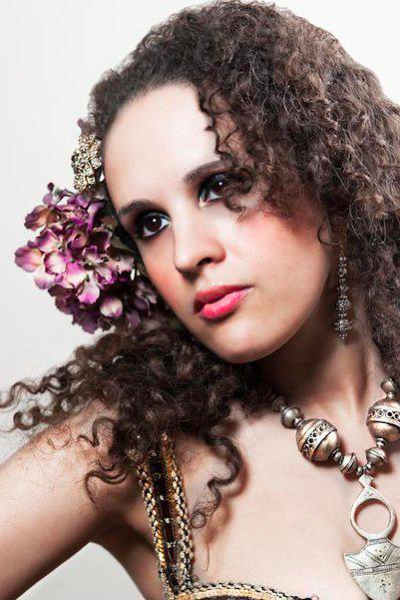 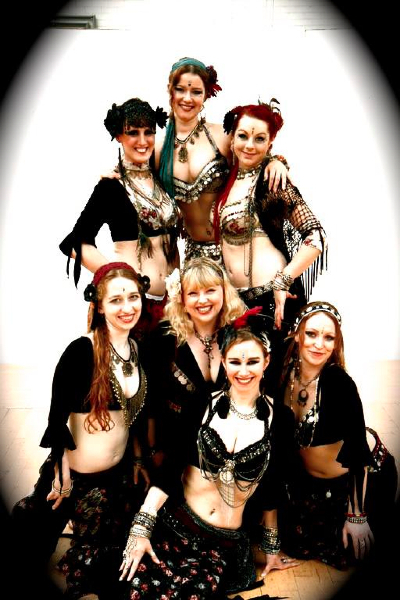 Tribal fusion bellydancers are available as both soloists and troupes. 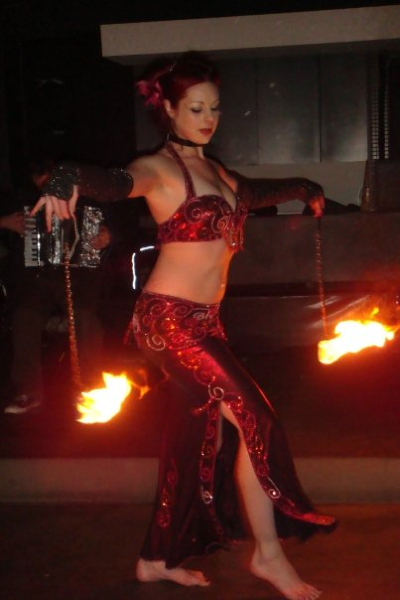 With their intricate and eye-catching costumes, they may also be hired for promotional work. 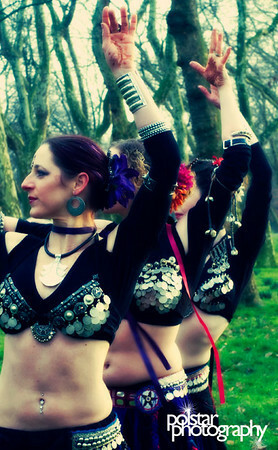 Our bellydancers have performed at a variety of events, including birthday parties, Diwali celebrations, Arabian Nights parties, henna (mehndi) parties, corporate events, nightclubs, cabaret shows, college events, fundraisers, engagement parties, and balls for universities and university societies, fashion shows, restaurant openings, anniversary parties, expos, retirement parties, hen nights, schools, baby showers and live performances with Middle Eastern, Indian, fusion and rock band.